Last night, Chef Tony Luk, Chef of the Year Gold Winner, from Jade Seafood Restaurant Richmond was at HSBC Chinese New Year banquet at Vancouver Downtown’s Westin Bayshore to demonstrate his new dish Pan-seared Jumbo B.C. Scallop and Portobello Mushroom in Yunnan Morel and Porcini Mushroom Sauce in front of all 650 guests. 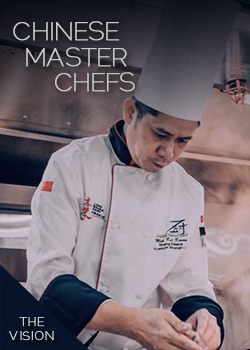 Tony will be at Toronto’s HSBC Chinese New Year banquet this Friday again and have another cooking demonstration at Libery Grand’s Governor Room.